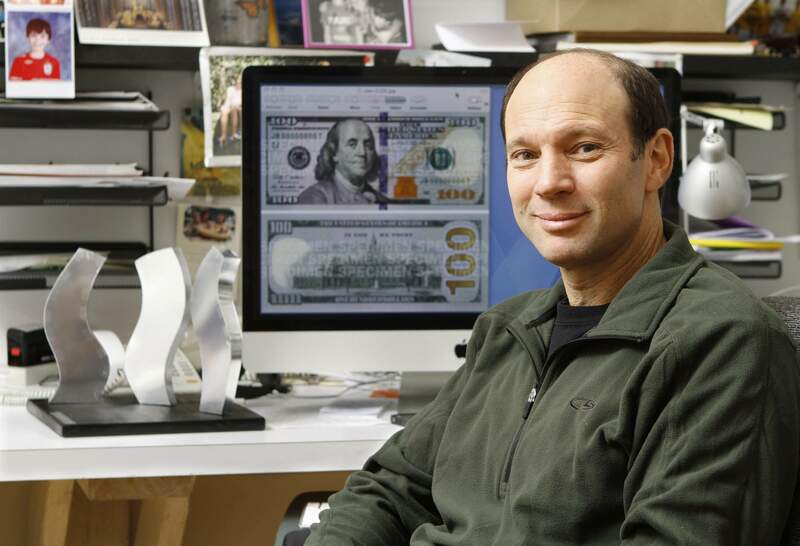 Barton Rubenstein was on a committee commissioned by the Bureau of Printing and Engraving to redesign all of the US paper currency and make it more protected from counterfeiting. 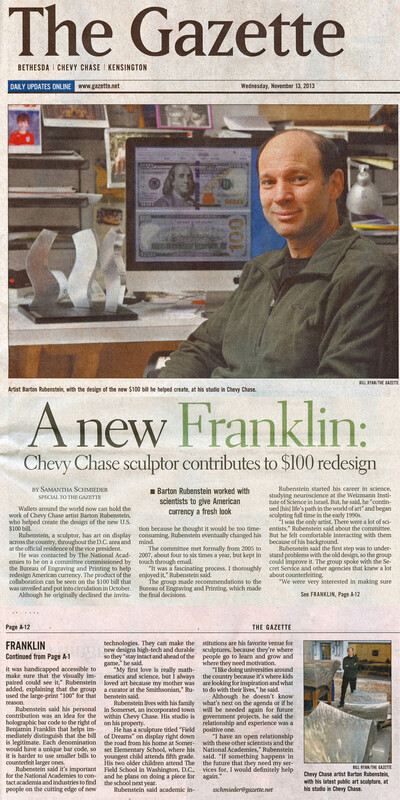 The $100 bill is the first of the currencies to be released. Rubenstein’s contribution consisted of recommending a unique vertical band for each of the denominations, so that there would be no confusion between them, e.g. a $10 and $100 bill. The committee also recommended to increase the size of the numerals at the corners, so that the visually impaired would be able to more easily recognize the denomination. There are various newspaper articles in the Resume/Publications Section about Rubenstein’s contribution.